What's that on the face of King Tut's grandma? 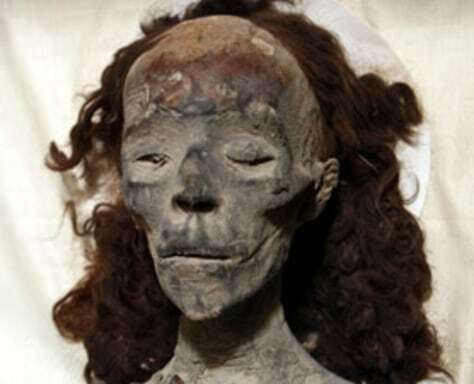 The mummified face of King Tut's grandmother, Queen Tiye. A high-resolution image reveals what may be a wart on her forehead, something not commonly found on the faces of Egyptian mummies.